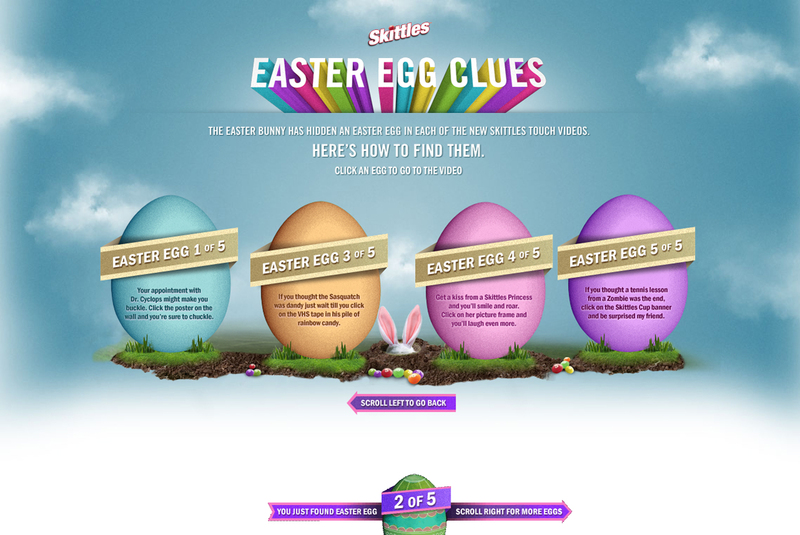 The Easter Bunny has hidden digital Easter Eggs in all 5 new Skittles Touch videos. Find them all by clicking on hidden annotations in each video, by typing in skittleseasteregg2of5.com etc or by reading on here. The second Easter Egg is an online picture book, “Goodnight Werebaby”, online at skittleseasteregg2of5.com. 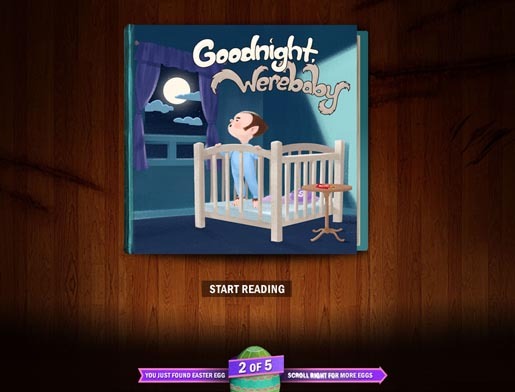 The fourth Easter Egg is an online photo gallery courtesy of the Skittleland Princess, “Goodnight Werebaby”, online at skittleseasteregg4of5.com. The Easter Egg campaign was developed at BBDO, Toronto, by creative directors Carlos Moreno and Peger Ignazi, copywriter Chris Joakim and art director Mike Donaghey.